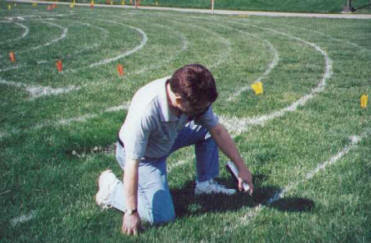 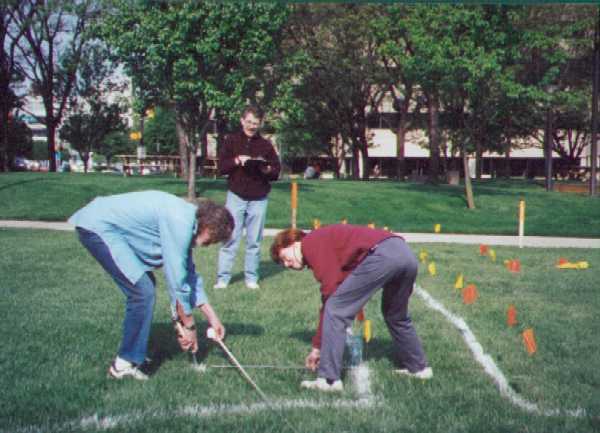 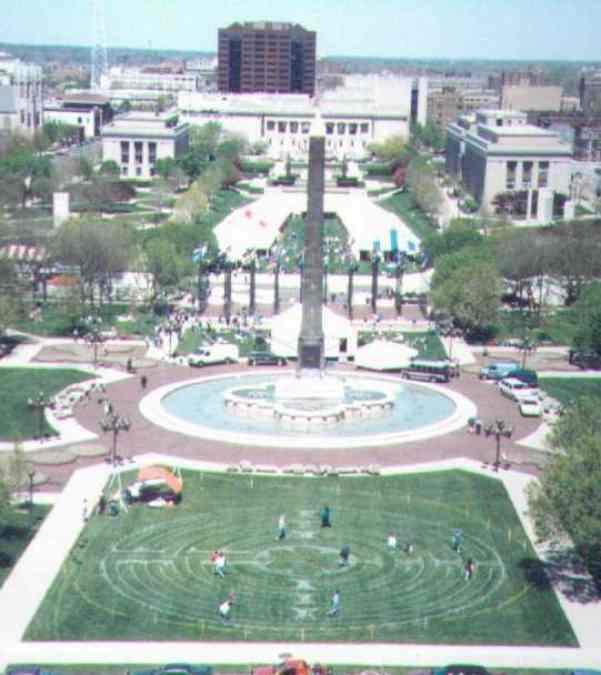 Created each year by members of the Labyrinth Coalition for the April Earth Day Indiana Festival. 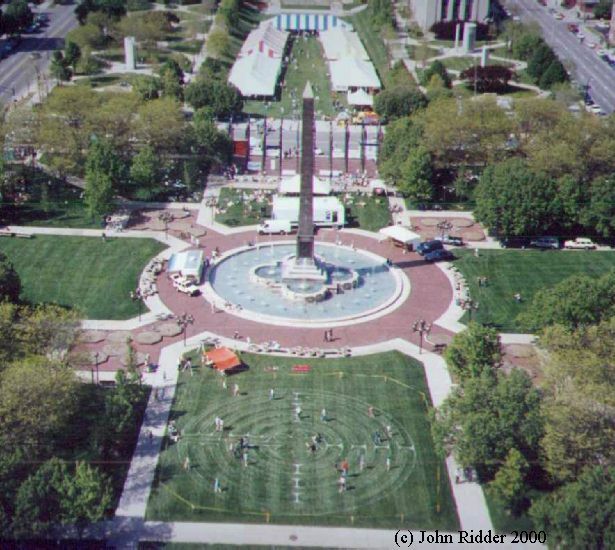 (last Saturday of April each year) It is painted with biodegradable spray paint by about 6 people in the morning and measured about ninety feet across. 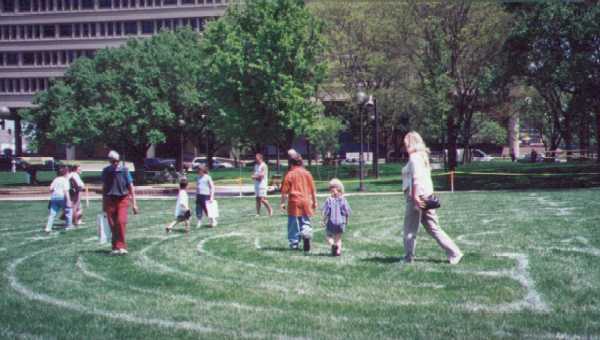 Around 500 people walk the labyrinth at each EarthDay event. 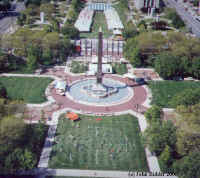 This view of the 1999 labyrinth is taken from the observation deck of the Indiana War Memorial looking to the north.